After your death, your court-appointed executor manages your probate estate. You can nominate someone in your will to be your executor, but he only has authority over your estate’s probate assets. He does not control non-probate assets, which are assets that transfer automatically upon your death. For example, life insurance is typically paid directly to a named beneficiary, so it never enters your estate to be distributed by your executor. Frequently, bank accounts are non-probate assets because they transfer automatically under the terms of the account, as outlined in the forms you completed when you set up the account. Joint accounts can be set up several different ways, but most joint accounts include rights of survivorship. This means the surviving account holder automatically owns the entire account when the other owner dies. For example, if you and your spouse own a joint account with rights of survivorship, your spouse automatically receives full ownership rights to the account as soon as you pass away – without the account ever entering the probate process. Typically, your spouse would only have to provide a copy of your death certificate to the bank to have the funds placed completely in her name. Thus, your executor never has control over the account since it never becomes a probate asset. It is possible to have a joint account without rights of survivorship, though this is much less common. If joint account holders own their account as tenants in common, the account does not include rights of survivorship. Though each owner has the right to access the account during his lifetime, an account holder can transfer his ownership interest to someone else by the terms of his will since the account is a probate asset. With this type of account, your executor has a right to access your share of the account and can include that share in the assets distributed to your beneficiaries through the probate process. Your executor may access your joint account, even if it contains rights of survivorship, under certain limited circumstances. For example, if you and the other account holder die at the same time, in a car crash, for example, rights of survivorship don’t apply since neither of you actually survives the other. In this situation, the account cannot pass outside probate because there are no survivors, so it will likely become part of your probate estate and controlled by your executor until it is distributed or used to pay creditors. 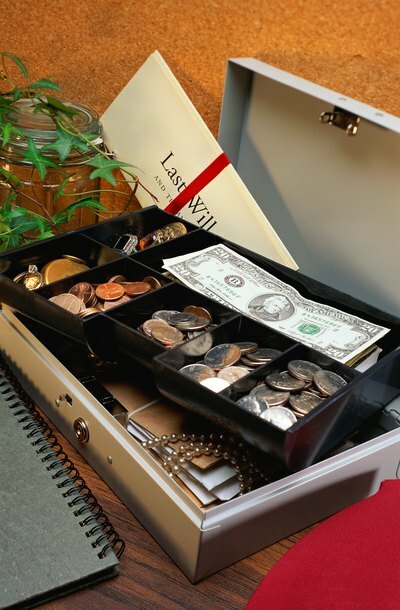 Law Offices of Cheryl David: What Happens When One Joint Account Holder Dies? The Iowa State Bar Association: What Is Joint Tenancy? Kansas Bar Association: What Is Probate?